INDUSTRY.co.id - Jakarta - PT Bank Central Asia Tbk (BCA) is present in the midst of the diversity of stakeholders to serve and give maximum effort as the development of various sectors in Indonesia. BCA's 61 years of hard work and hard work in delivering the industry's best products and services to the Indonesian people are accomplished in realizing the vision of becoming the country's top choice bank that acts as a key pillar of the economy and provides the best financial services to all Indonesian customers. "Coming up with a mission to build excellent institutions in the areas of payment settlement and financial solutions for business and personal customers, BCA succeeded in 2017 with superior performance in the midst of economic growth and global risks in recent years. This performance is shown by the growth of credit and third party funds in the increasingly competitive business banking sector. The growth is sustained by quality service innovation to customers, various promotional events as well as offering loan interest rates as well as providing comprehensive banking solutions," said BCA President Director Jahja Setiaatmadja in Jakarta, Wednesday (21/2/2018). 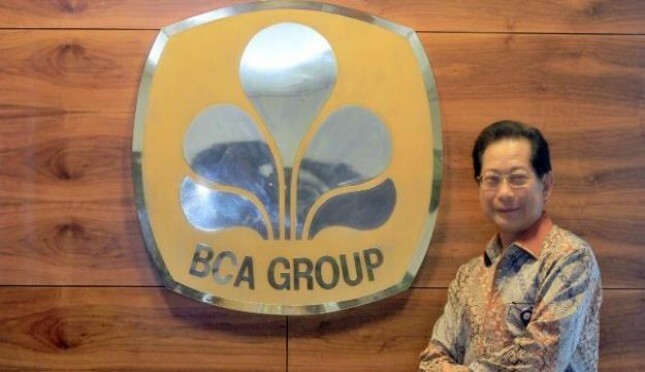 According to him, turning 61 years old, BCA never stopped to continue to improve the quality of services and products in order to become a better bank. In this 61st anniversary moment, BCA presents several exciting activities and offers as an appreciation for loyal customers and the general public who have been part of the 61 years of BCA's journey to provide the best for all stakeholders. BCA opens a series of appreciations through BCA Expoversary activities aimed at bringing close partners, including developers, dealers, and online merchants with their customers. BCA Expoversary which was held on February 9 to 11 last recorded carrying more than 50,000 visitors. "We also do not forget the general public who has been supporting the presence of BCA for this. Our joy in the anniversary of this year is certainly a happiness to be celebrated with the people who are part of BCA's extended family. In accordance with the principles of BCA to grow with the community, in the series of 61 anniversary of BCA, We also do various social activities as an appreciation to the community" continued Jahja.